I FIRST BECAME ILL IN 2010 AND I HAVE BEEN TO MORE DOCOTORS THAN I CAN COUNT. I have had many diagnoses and many misdiagnoses. But in May 2016, I began to treat my illness with IV therapies and had my first PICC line placed shortly after. After a few dressing changes, it quickly became apparent that I was allergic to the Chloraprep. No biggie, we just switched to betadine and alcohol swabs to clean my dressing site each week. After a few more weeks with more blisters appearing under the dressing, it seemed as though I had developed an allergy to the Tegaderm dressing. No biggie, we switched to the Sorbaview dressings. The IVs seemed to be making a huge d ifference. I was back on my mountain bike, I was eating some solid foods. I could work a full day without falling into bed the moment I got home. Everything seemed copacetic. Little did I know…I had that first PICC for 5 months when with much sadness, I lost it due to three deep veins in my PICC arm becoming completely clotted from my wrist up into my neck. The PICC was pulled out even though I begged desperately to be able to keep it. However, I did continue getting my IV treatments by getting stuck each week. AFTER THREE WEEKS OF MULTIPLE STABS TO GET AN IV STARTED, THE NURSES HAD LOST THEIR PATIENCE WITH TRYING TO GET A VEIN, SO MY SECOND PICC LINE WAS ORDERED. My second PICC seemed great for about a month. But then, the blisters returned. My nurses tried their best to move the dressing as far off the dressing site from the previous week so that some of my skin could get a rest. My skin was starting to disintegrate under the dressing and each week was worse, so we decided it was time to switch things up again. 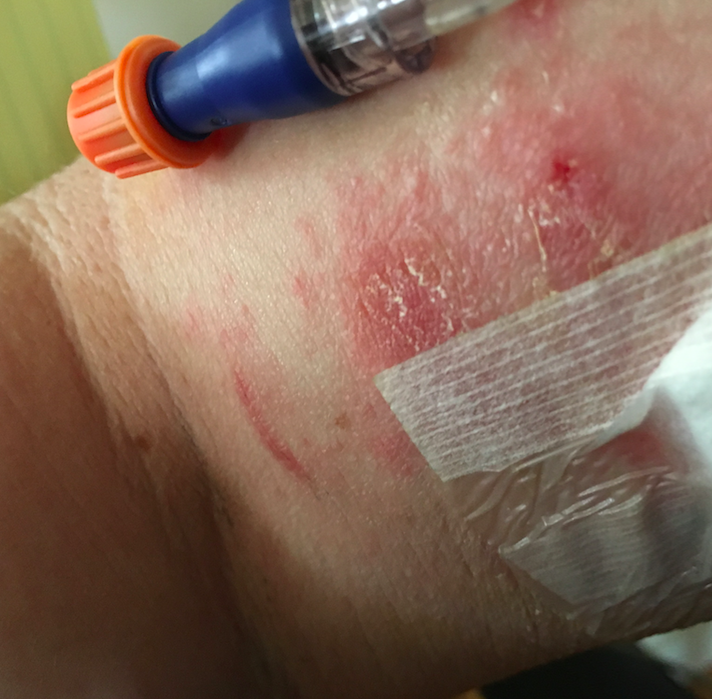 This time I tried the IV 3000, supposedly the best for hypo-allergenic (maybe for those who are allergic to some extent and not severely allergic). I should mention that this whole time I was chowing down on Benadryl like they were TicTacs. THE IV 3000 DRESSING AGAIN SEMMED TO WORK FOR ABOUT A MONTH UNTIL ONE DAY, DURING WORK, MY ARM FELT LIKE IT WAS ON FIRE. It was so painful, but I tried to keep working and ignore it as much as possible. As soon as my meeting was finished, I went to the restroom to check out my line, as unfortunately, I was not wearing a shirt that I could just take a peek at it. It was a fiery horror show, like some sort of hamburger meat looking thing. There was so much seepage from the blisters that my dressing was barely hanging on. Like one of those cats in the posters, ‘Keep hanging in there,’ I thought. I called every urgent care in town and not one had a PICC Line Dressing Change Kit. I steeled myself for a long wait at the ER. I went to tell my boss that I needed to leave because I was having an allergic reaction to my dressing. When I told him that I was headed to the ER, he said to let him call in a favor with his friend the fire chief. So, I was sent over to the fire house. The firefighters kindly picked up a dressing change kit from the hospital, and then I very embarrassedly, stood in my bra (that damn shirt that wouldn’t just go up over my bicep) while all the hunky firefighters (is it mandatory to be hunky to be a firefighter?) stood around in a circle learning how to change a PICC dressing. My face was redder than my allergy ridden arm. At this point, I just needed to have anything new put on that would keep my line sterile, so I grinned and bore it, and sucked in my belly a bit. The generic brand dressing that came in the kit did not provide much relief but it seemed good enough that I could try and go back to work. That night I went to the ER to get another new dressing put on because in only 4 hours the blisters had soaked the firefighter-applied dressing, and again, it was hanging on by a thread. “I called my IV supply company and talked to many different nurses. They all said I had run out of options. That they didn’t know of anything else I could do. I ended up wearing just gauze for a couple of weeks, which was super sketchy due to the risk of infection. It looked like I was going to lose my PICC line. 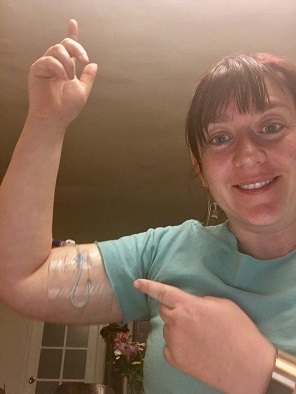 I COULDN’T BEING TO IMAHE FUNCTIONING WITHOUT MY IVS AND I DESPERATELY DID NOT WANT TO GO BACK TO THE “PARTIAL” LIFE I WAS LIVING BEFORE STARTING IV TREATMENT. I called every infusion center in town hoping someone would know of a better dressing. 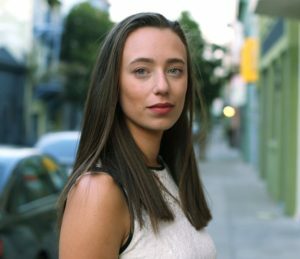 I talked to every nurse I knew. I scoured the internet. I finally remembered that someone on Instagram had said something about IV Clear™ by Covalon. Bingo I thought. I typed it into the internet, but unbeknownst to me, misspelled as Cavalon. I didn’t find anything. I was heart-broken. I spent hours going through Instagram trying to find the comment that mentioned this ‘other’ IV dressing option. Finally, I found it. It was Covalon (spelled correctly). I typed ‘Covalon IV Clear’ into the search engine and minutes later I had ordered one dressing to give it a try. I have had no itching, no blisters, nothing but clear picture-perfect skin. I sometimes even forget that my PICC line is there. I don’t know why people don’t know that it exists but I have been telling every PICC person I know. If you have had any issues with your dressing changes, this is the go-to option. I wouldn’t have been able to keep my PICC without it, so I am forever grateful that it does exist and that it is easily accessible on the Covalon website. MY MOUNTAIN BIKE IS STILL MY FAVORITE THING, BUT THIS DRESSING COMES IN A CLOSE SECOND. We also know first hand the impact that it can have in your daily life when you use the right dressing change for your PICC or the right PICC Line Cover to protect it . Every person and skin type has its own needs and preferences, so we are grateful that Brittany shared her experience with us. Comment below if you have issues with your current dressing change or if you have more tips to quell discomfort for other people using PICC lines! 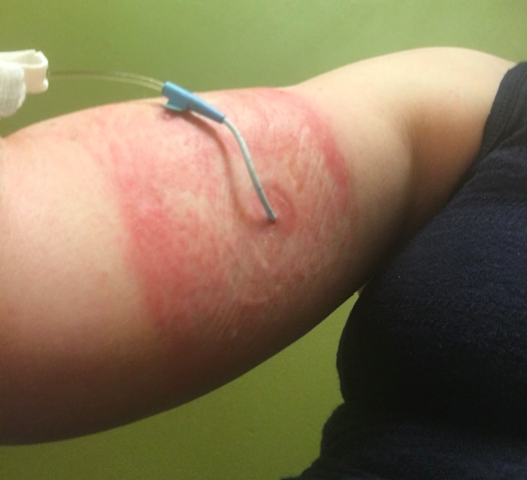 I have many pediatric patients allergic to PICC line dressings. Are you continuing to use chloroprep or betadine with the kits?